Several raw materials employed in the production of conventional anticorrosion coatings pose severe threat to environment and human health. The hazards have led to surge in government regulations that have restrained anticorrosion coatings market growth. Global market trends are moving towards sustainable and renewable materials as public is becoming more aware of importance of utilizing environmentally safe solutions. Thankfully, dedicated and extensive research has enabled Cortec® to create solutions that successfully replace hazardous chemicals. Biobased coatings are rapidly gaining market share due to their low cost, effectiveness and excellent environmental profile. Traditional petroleum derived rust preventives require expensive degreasers and hazardous disposal methods. 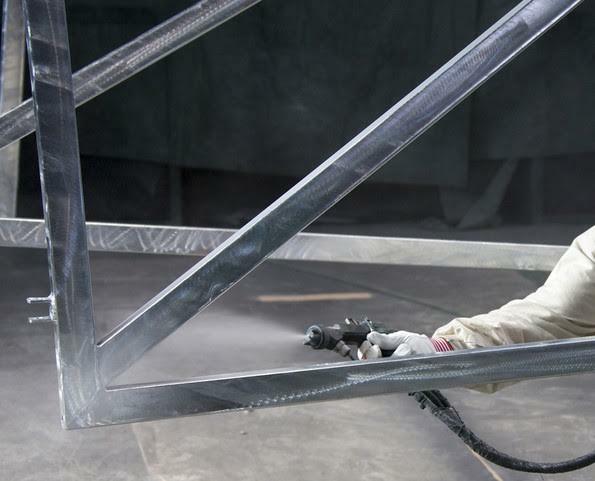 In contrary biobased products are inherently biodegradable and in most cases do not require removal before painting or welding providing far more economical solution. Breakthrough formulation, created in Cortec® laboratories is BioCorr® rust preventive, a waterbased, biobased solution, intended for preservation of metals in storage and during transportation. Unlike rust preventative oils this product leaves a dry film on the surface of the metal that is virtually undetectable. This feature helps to create a clean workplace and prevents material waste. BioCorr® is biodegradable; eliminating expensive disposal costs associated with oils. As a leader in innovative and safe corrosion protection technologies, Cortec® is able to offer ecologically safe corrosion control solutions whose performance has outgrown conventional rust preventatives. Not only are these bio-based environmentally safe alternatives functionally superior to conventional petroleum derived products, but they provide a far more economical solution. In addition to offering end-users excellent environmental profile, superior corrosion protection, BioCorr® is typically 40 percent less expensive than the traditional petroleum derived RP’s! Comprehensive study on Cortec’s BioCorr® rust preventative was conducted in collaboration with Laboratory for Materials Protection at University of Zagreb. The paper covers economic and environmental impact of traditional rust preventatives versus bio-based product. The study includes comparative experimental investigation of biobased and petroleum based rust preventives in humidity chamber, with the corrosion protection efficiency being determined using various polarisation techniques. This research paper clearly demonstrates that bio-based products may inhibit corrosion as well as their traditional oil-and solvent based counterparts, without any of the negative environmental considerations. Latest scientific evidence of BioCorr’s performance will strengthen the value that Cortec® brings to its customers even more.